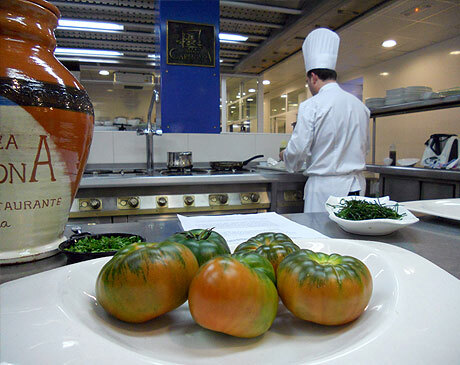 Terraza Carmona’s culinary path is strongly linked to traditional Spanish and Mediterranean flavours. With over 70 years of history, Terraza Carmona maintains “the eternal fire of their forefathers” and continues to prepare stews, casseroles and typical fare with that contemporary and creative touch. In Terraza Carmona our groceries take pride of place and we take care of every little detail to ensure we use the freshest seasonal produce and maintain its integrity throughout the cooking processes by using the latest techniques such as, frying, casseroles, rice, stews, low temperature vacuum, etc. Antonio Carmona Gallardo liked to research and rescue long lost recipes for traditional Almeria Cuisine: among others, Drunken Sponge Cake, a dessert made at Terraza Carmona which recipe was rescued from the Order of the Friars Minor (belonging to Saint Francis di Asisi) of the Convento de la Victoria, recipe which they entrusted to Antonio when the Order left Vera. In addition, many other dishes have been updated and brought to date such as Olla de Trigo (wheat casserole), el Guiso de Pelotas (dumpling stew), Ajo Coloráo (a potato and cod based dished with paprika), Torticas de Avio (cornbread bases filled with whitebait in tomato and pepper sauce), Gurullos con Conejo (homemade rice shaped pasta in a rabbit stew), Migas de Matanza (fresh wheat crumbs cooked with cured meats), Caldo Pimentón (paprika consomé), Olla de Col (cabbage stew with cured meats). Fresh local vegetables, leafy greens and fruits from Almeria are always present in our market kitchen and we also have a special interest in our meats: goat kid, pork, game, brought directly from the Sierras de Los Filabres, Cabrera, Los Vélez, María, Alpujarra, etc., ideal ingredients to prepare them grilled, marinated or in pickling brine. In all, a true traditional contemporary cuisine, respecting each individual product, seasonality and originality. Based on traditional dishes prepared with native products, in a more contemporary way to adapt them to new times. Based on superb raw materials, respecting their original flavors and giving them pride of place. 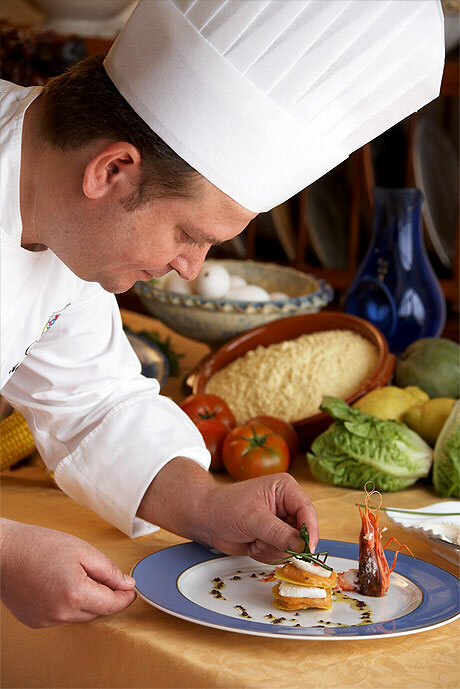 With our delicious vegetables, leafy greens and fruits from Almeria, fresh fish and seasonal meats, we create the daily menu at Terraza Carmona as well as the Chef’s suggestions.